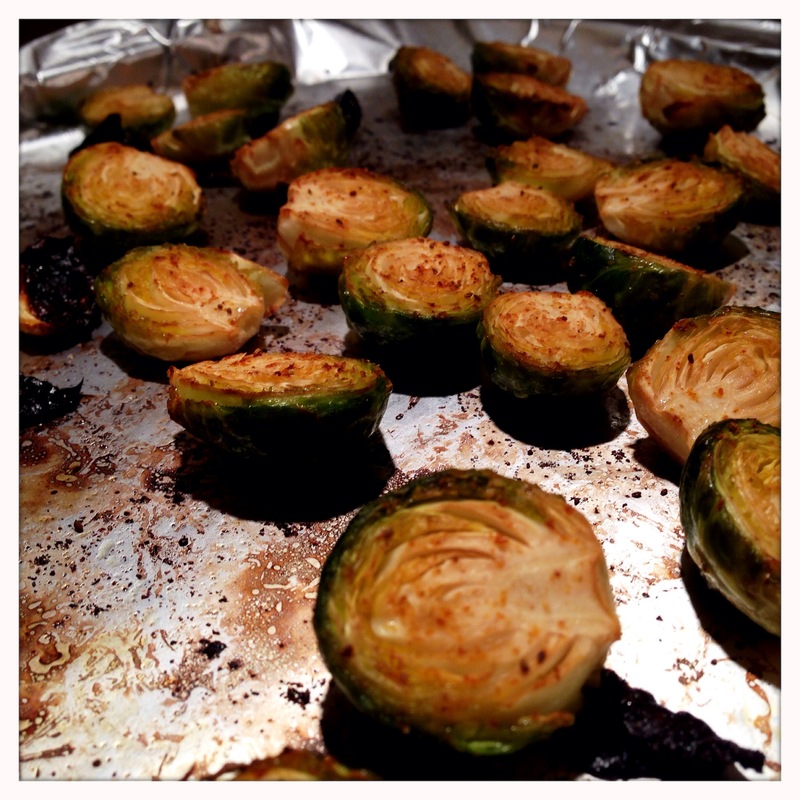 It’s no secret that I love roasted brussels sprouts. I’ve written at least two posts about them in the past. I firmly believe that if we introduce our younger eaters to a variety of foods prepared in tasty ways, there is no need to “trick” kids into eating healthy foods. 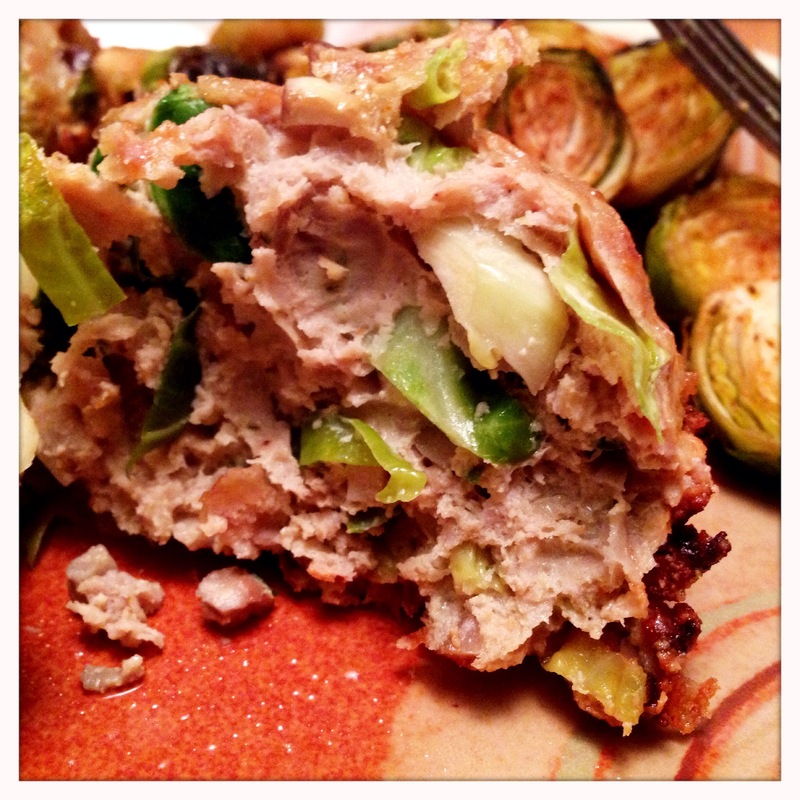 That said, if you’re dealing with a particularly picky eater, adding any vegetable into a meatloaf muffin can be a way to slip some green stuff under the radar. 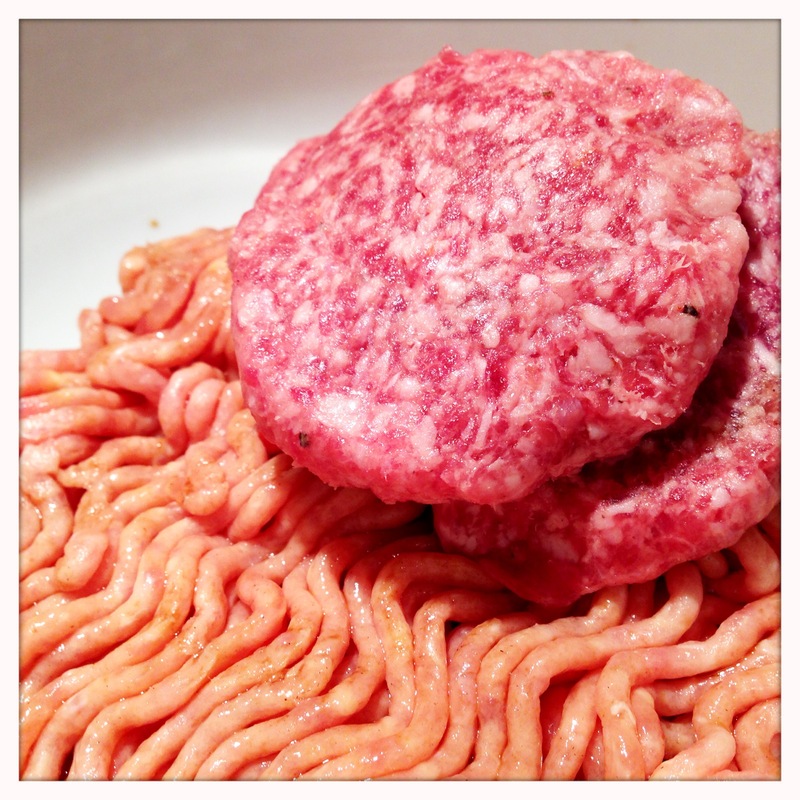 Place the chicken and sausage in a mixing bowl, and add the worchestershire, Old Bay, herb blend, salt and pepper. 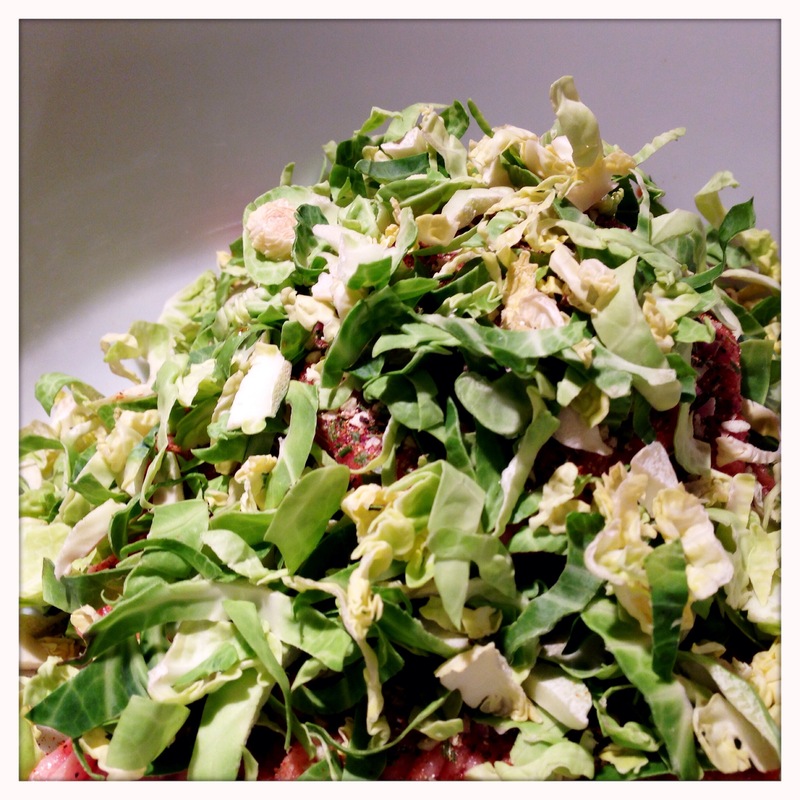 Cover the meat with the shredded brussels sprouts. 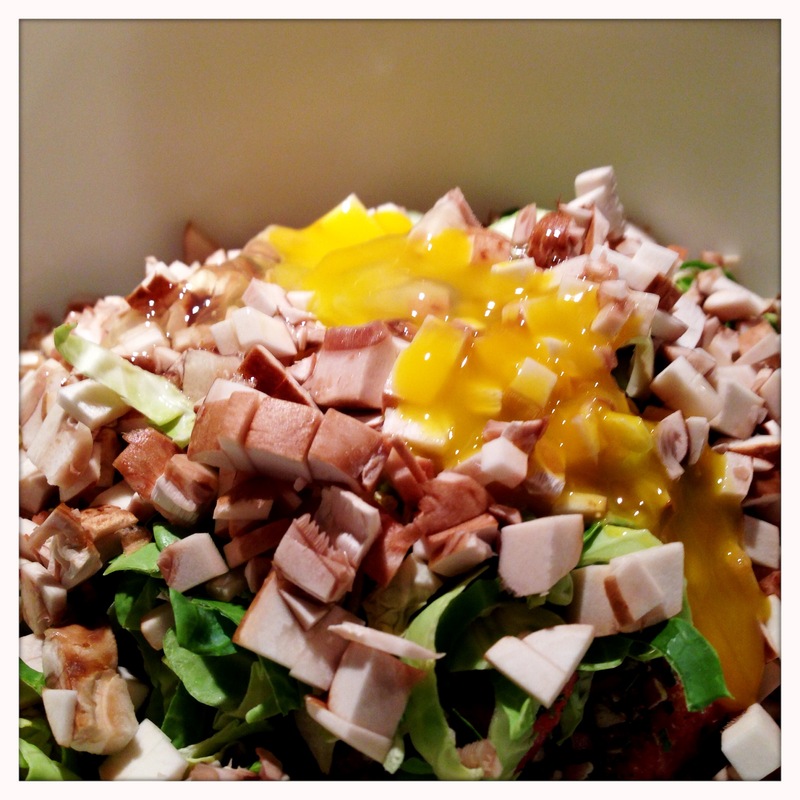 Add the mushrooms and the egg. 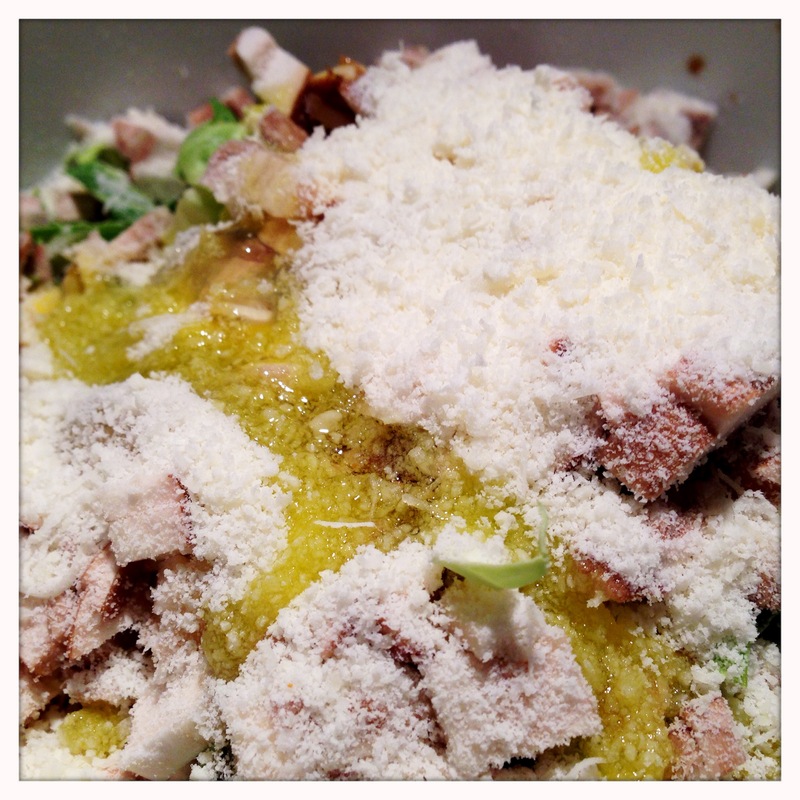 Then add the bread crumbs, parmesan cheese and a drizzle of olive oil. 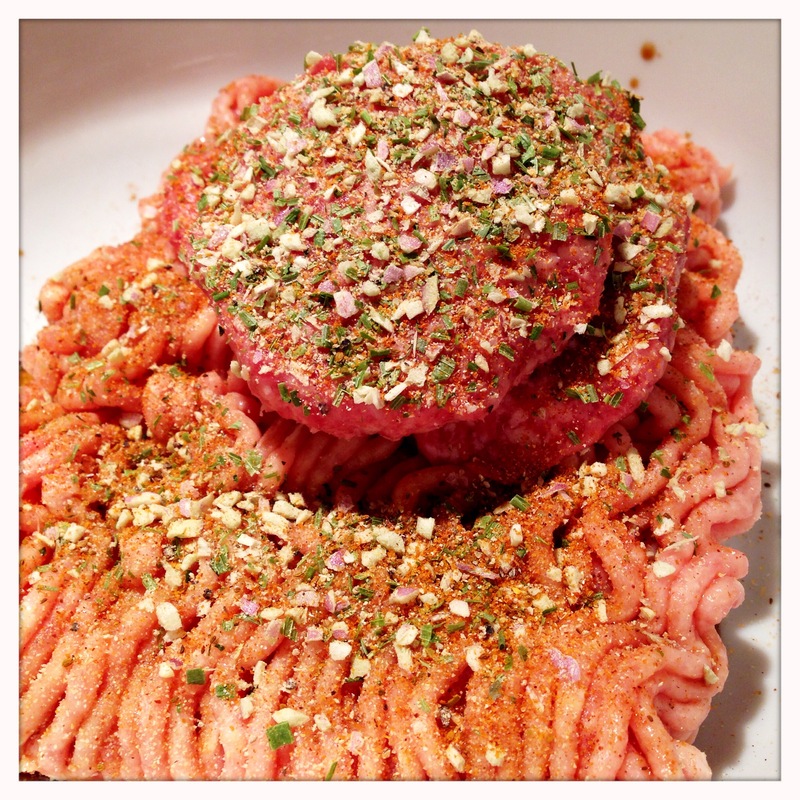 Work the meatloaf mixture together with your hands to evenly distribute the ingredients. Then form into balls to fill your muffin tin. For me, this is six balls. 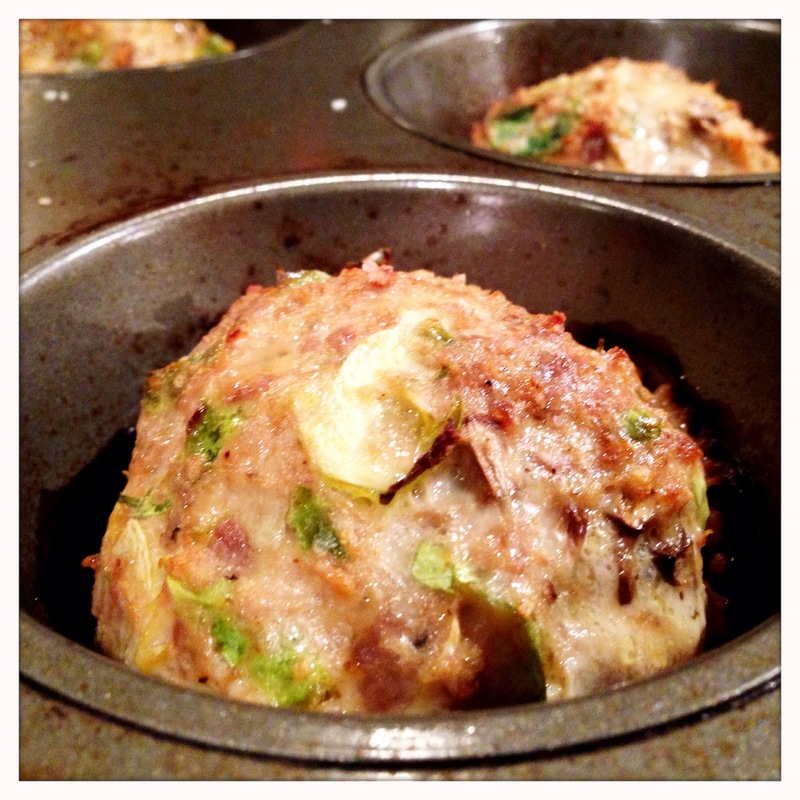 Lightly oil your muffin tin, and place a meatloaf ball gently into each muffin cup. Place into the oven and bake for about 30 minutes. 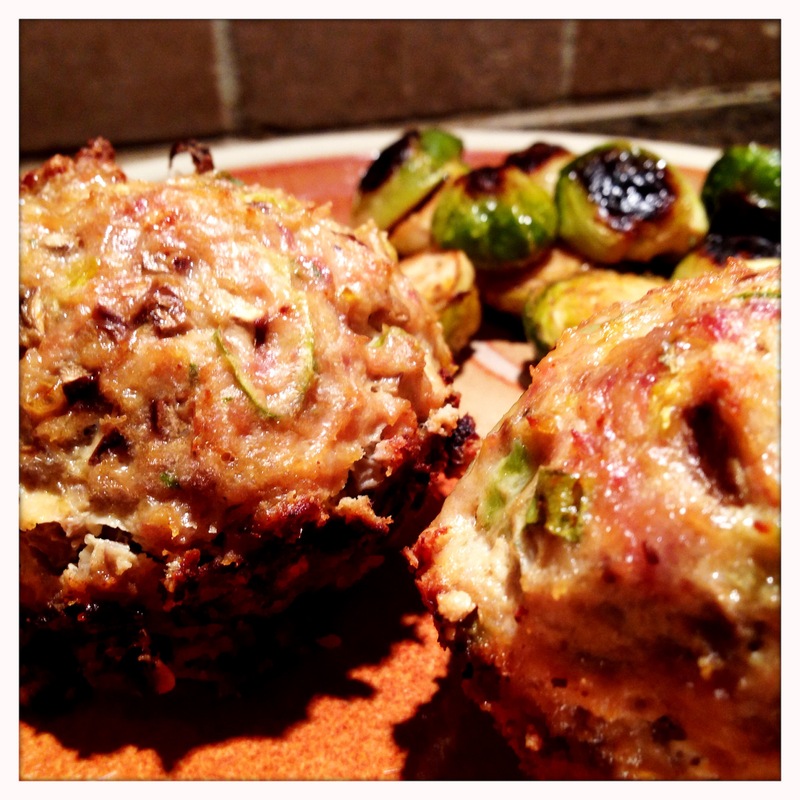 While the muffins are cooking, we can roast any remaining sprouts to serve on the side. Quickly trim the stems and remove any loose leaves from the sprouts. Slice them in half lengthwise and place in a zip top bag with a little olive oil. Shake to coat and the spread the sprouts on a baking sheet. Season to taste. 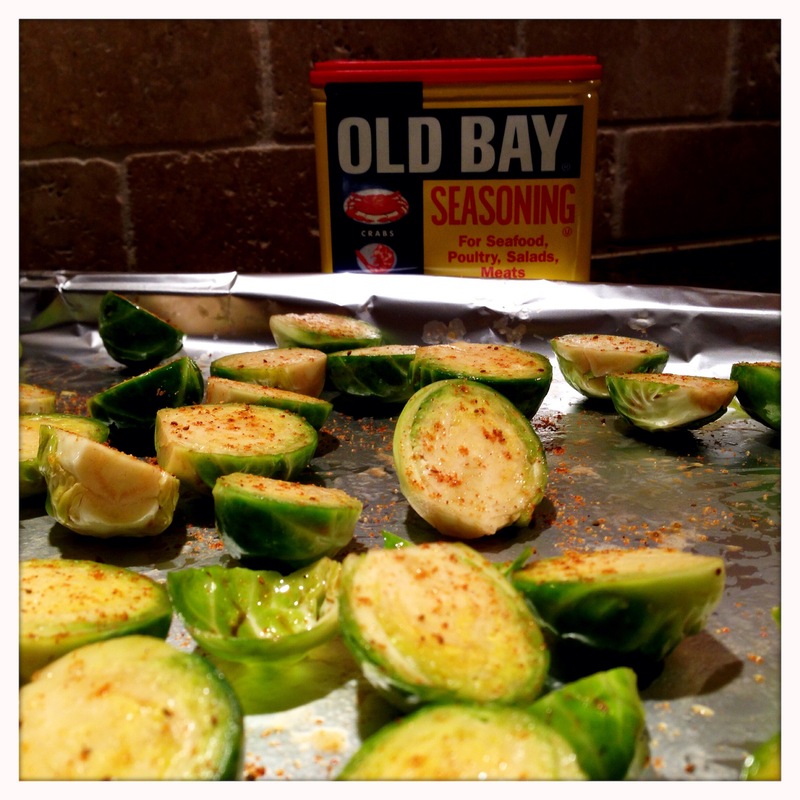 Currently I’m on an Old Bay kick, so I dusted the sprouts with that, but the sprouts will work with just about any seasoning you have a taste for. If you time it right, it takes about 10 minutes to prep the sprouts, leaving about 20 minutes for them to roast while the meatloaves finish up. 20 minutes at 400 degrees is perfect for the sprouts, and everything will be done at the same time. Pull the muffins out and let them sit for 2-3 minutes to let the juices settle. The sprouts inside the muffins end up steaming in the moisture from the meat and are flavored by the fat from the sausage. 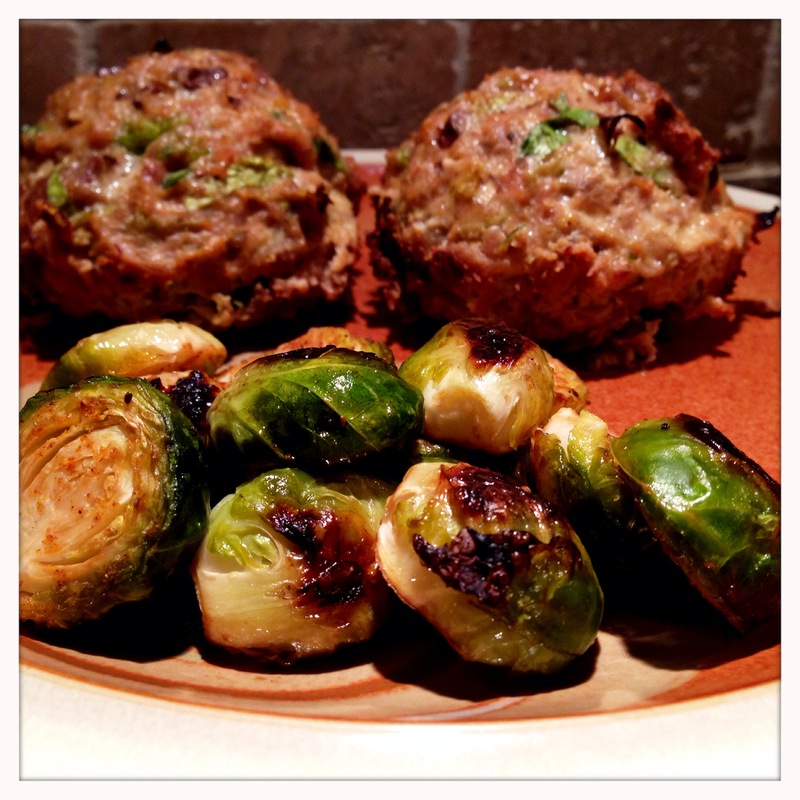 They come out tender and tasty, but have a different flavor profile than the caramelized, roasted sprouts. This keeps the flavors of muffins and the side dish complementary, but not redundant. 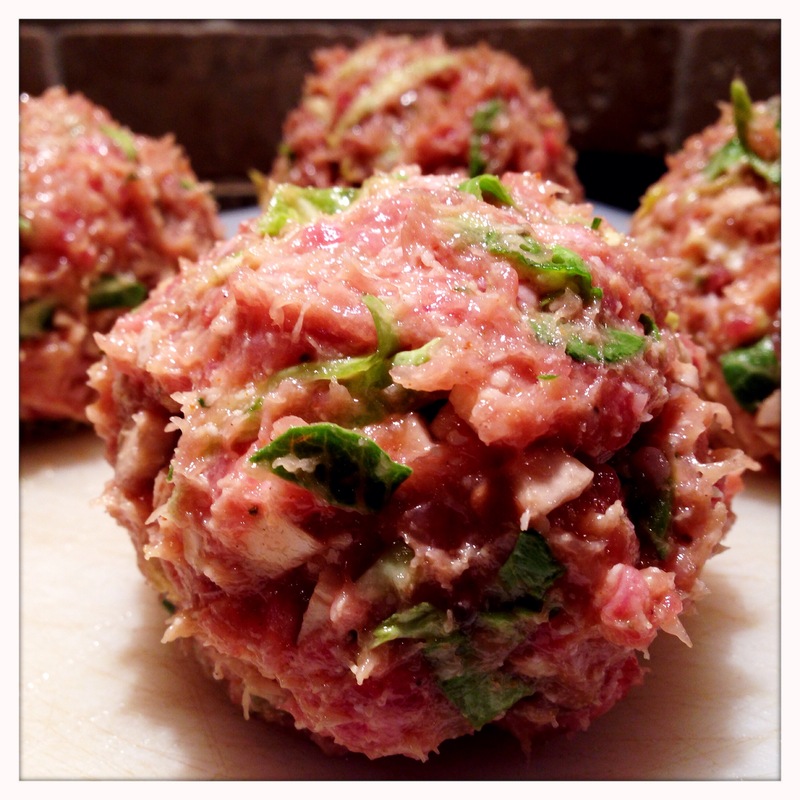 I’m always looking for new twists on meatloaf muffins because they’re so tasty and convenient. They come in nice, pre-portioned servings, cook quickly and store well as leftovers. This particular variation was definitely a favorite. Our little guy took out two of them for dinner the first night I made them. I hope you enjoy this recipe, and I hope you use it to make your own variations as well. If you come up with any unique meatloaf muffin recipes, please share in the comments below – would love to hear what you’ve tried. Enjoy! Thanks for the kind words! I really enjoy reading your blog, too. Thanks for dropping by!